American Mechanical Services (AMS) is one of the nation’s leading providers of commercial heating, ventilation, and air conditioning (HVAC) maintenance, repair, replacement, and new equipment installation, as well as plumbing and related services. American Mechanical Services of Colorado Springs, L.L.C. American Mechanical Services of Denver, L.L.C. American Mechanical Services of Houston, L.L.C. American Mechanical Services of Maryland, L.L.C. American Mechanical Services of Texas, L.L.C. AMS Mechanical Services, L.L.C. d.b.a. AMS Mechanical Services of Indianapolis, L.L.C. Southcoast Heating & Air Conditioning, L.P.
Tri-Pacific Heating & Air Conditioning, L.P. 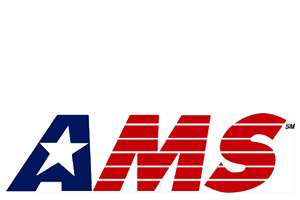 In 1999, AMS was acquired by ServiceMaster. Each AMS company became a wholly-owned subsidiary under the ServiceMaster / AMS operating division rubric. During this period, Ed Dunn and Dave Schellhardt served as key officers of the ServiceMaster / AMS operating division and played significant roles in shaping the AMS brand as an industry leader. In 2006, Dunn and Schellhardt formed a single-purpose parent company to acquire AMS from ServiceMaster. Thankfully, AMS has enjoyed its most successful years under the watch of Dunn and Schellhardt. Collectively, AMS has an average of 30-plus years of industry experience. This kind of success and longevity can only be attributed to the quality and value of the work we provide to our customers.